Leave the boring books at home and jump into this fun filled laboratory of makers where every participant is a maker. In this 2 day workshop participants will create fun projects based on science. MATCHSTICK TOYS: Every house has a matchbox lying around. You will learn how to use match sticks to create and understand moleculed of chemistry and cells of biology. 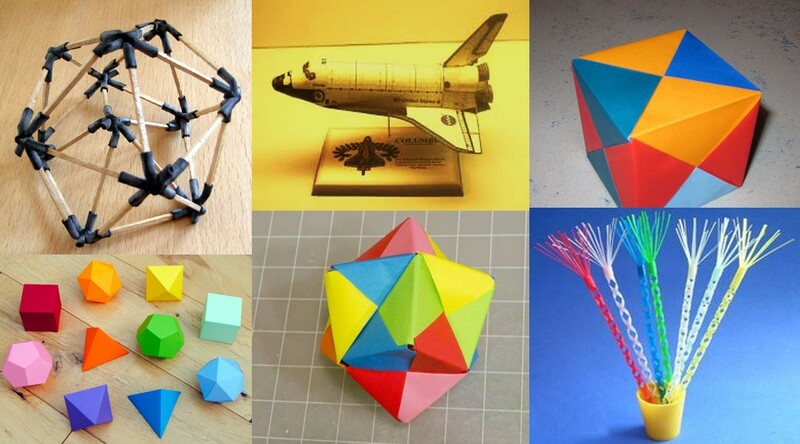 MODULAR ORIGAMI: A contemprorary form of origami where you create unusual shapes and understand mass distribution. You don't need any complex origami skills. You just need to know how to create one origamy shape. SPACE SHUTTLE: Let's make something that's fun. Let's make a space shuttle that is an exact replica of the original columbia space shuttle. DRINKING STRAW SCIENCE: Everybody have access to the cheap drinking straws. Let's use them and make windmills, wave machines and musical instruments that are fun and teach us how and why. PLATONIC SHAPES: Learn to create platonic shapes. Platonic shapes are a funny bunch of shapes that works in unusual ways.